Thank you for sharing all your hilarious travel stories this week! I’ve had so much fun reading your comments. 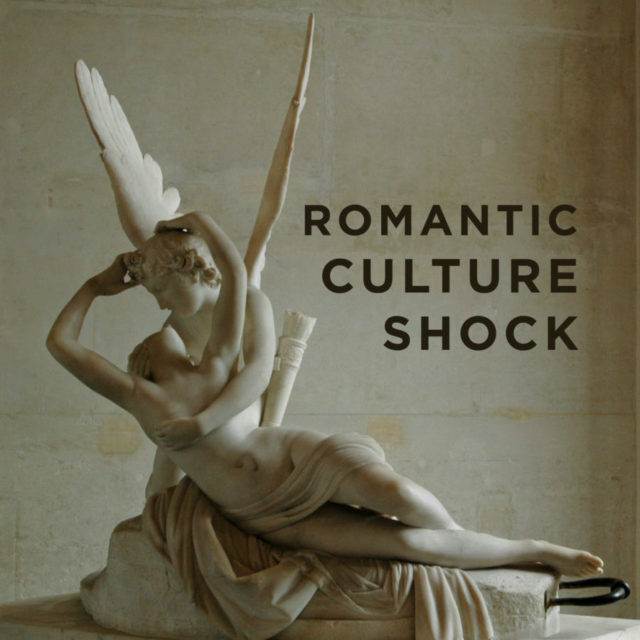 I’ve got one last topic for you, and it’s a good one: romantic culture shock. I’m sure many of us travelers have experienced this, and we can laugh about it now. I remember one time, I fell in love with a Japanese girl I met in Europe back in my student vagabond days. I later traveled around Japan with her. We ventured to the island of Kyushu so I could be introduced to her very traditional family. I couldn’t visit their actual house, as we were not supposed to be that serious yet. So, this gathering was in a kind of mountain spa lodge. Before dinner, I had to soak in a hot tub with her father. He was drunk, and we were both naked. He didn’t speak English, and all he knew about America was how horrible we were to the Indians. While the hot tub was designed to relax you before dinner…all I could do was endure a righteous lecture about American atrocities…in Japanese. He was obsessed with the topic. At dinner, he continued his rant, stabbing the table with his chopsticks to emphasize his points. That was trying…but the girlfriend was well worth the trouble. How about you? Have you ever experienced romantic culture shock?